We are not the makers of history. We are made by history. — Dr. Martin Luther King, Jr. In honor of Black History Month, this week we will honor some of the contributions that Black Americans have provided the field of psychology. 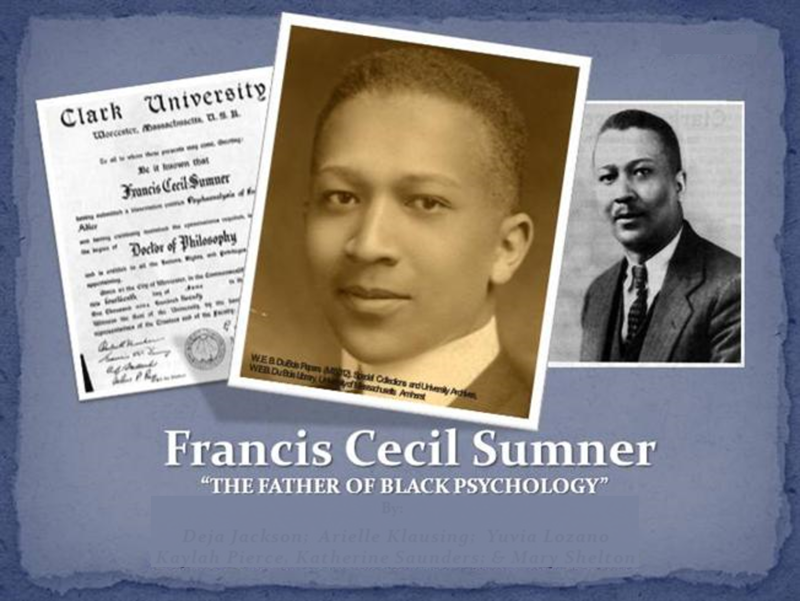 So to begin, we will start with the first Black American to receive a PhD in it: Dr. Francis Ceil Sumner. 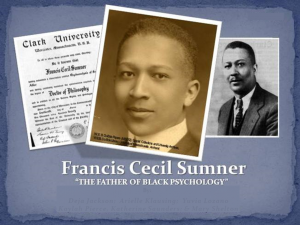 Dr. Sumner received his PhD in 1920 and is often cited as the “father of Black Psychology.” His entire career, he conducted empirical research to refute the racist claims that Blacks were inferior to Whites. And as a result, Dr. Sumner demonstrated not only social but scientific virtue in showcasing the racial bias infecting even “scientific” theories. However, Dr. Sumner’s work faced great resistance at the time, not only from his own colleagues, but also, the numerous funding agencies who refused to finance his research. 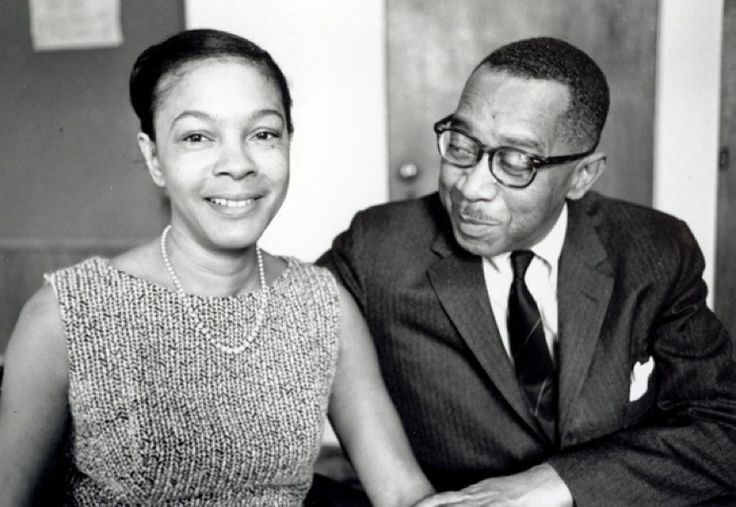 Even with this adversity, though, Dr. Sumner went on to write around 45 articles, create the psychology department at Howard University, and eventually mentor two of psychology’s greatest prides: Mamie and Kenneth Clark. The year was 1954 and the Supreme Court was considering the case of Brown v. Board of Education, which would determine the legality of racial segregation. But to convince the highest court in the nation—one that had already set the legal precedent for segregation a few decades earlier—would require some truly expert testimony. Of which, there was Mr. and Mrs. Clark’s (talk about a power couple) Doll Study. These researchers brought two different dolls, one with pale skin and blond hair and one with dark skin and black hair, to children in either integrated or segregated schools. Each child saw both dolls (the White one and the Black one) and were asked some questions about them: which doll do you like? which one is prettier? which one’s smarter? which one looks bad? Overwhelmingly, both Black and White children preferred the pale doll to the dark one, and furthermore, this contrast was even greater in segregated schools. To separate [blacks] from others of similar age and qualifications solely because of their race generates a feeling of inferiority as to their status in the community that may affect their hearts and minds in a way unlikely ever to be undone. It’s hard to believe the Court of that time could have made that statement with such assurance had it not been for the psychological research of Dr. Mamie and Kenneth Clark. However, even with legal segregation behind, there was (and is) much work to be done toward dissolving the racial disparities in our society. And it was a chance appearance of Dr. Kenneth Clark on television which would inspire one of modern psychology’s greatest thinkers and advocates for this topic: Dr. Claude Steele. An alum of Ohio State University (woot! ), Dr. Steele received his PhD in 1971, where he would continue on to develop two of social psychology’s most influential discoveries: stereotype threat and self-affirmation. Research on these topics has led to restructuring of the SAT to improve minority student performance, increased enrollment by women in math and science fields, and a simple, psychological intervention that has been mass administered to improve students’ GPA and graduation rates. 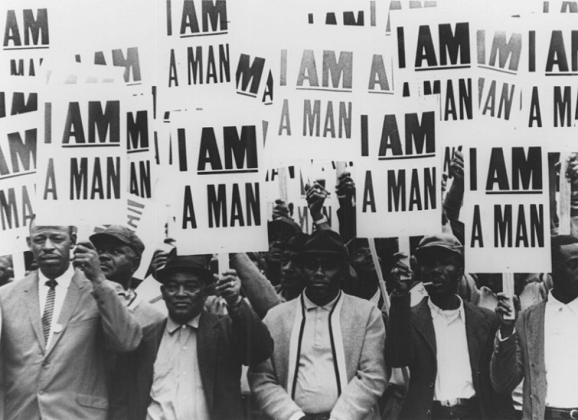 But so far, I have only covered three Black psychologists when a great many more exist. 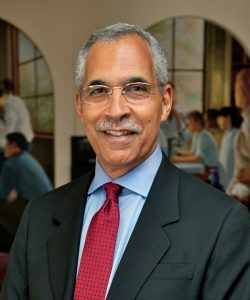 For example, there’s Dr. Inez Prosser (the first Black woman to receive a PhD), Dr. Herman Canady (who revealed the racial bias in the original IQ test and pioneered stereotype research), Dr. Beverly Tatum (clinician, nationally renowned researcher on racial identity, and recipient of psychology’s highest award). But then there are so many more: Dr. Joseph White, Dr. Jenn Richeson, Dr. Robert Williams, Dr. Kobi Kambon, Dr. Nancy Boyd-Frankin, Dr. Albert Beckham, Dr. Charles Thompson—and the list goes on and on. So when it comes to celebrating Black History Month, let’s not forget that the field of psychology would be much farther behind were it not for the work of these incredible Black Americans. Psychophilosophy to Ponder: When you ask yourself about other contributions of Black Americans, I hope you can say more than just peanut butter (George Washington Carver). If even that’s news to you, also consider that Black Americans have created the carbon filament in light bulbs (Lewis Latimer), 3D graphics technology (Marc Hannah), mobile refrigeration (Fredrick Jones), and the blood bank (Charles Drew). great article and all the more timely based on current events!